Like station wagons and iPod repairmen, small phones are a dying breed today. Phone screens continue to get bigger and bigger, and the International Data Corporation reports that “phablets” will overtake regular smartphone shipments by 2019. Smartphone manufacturers often reserve special features for large-screen phones too — the Google Pixel 2 has a duller design compared to the Pixel 2 XL; the Samsung Galaxy S9 doesn’t come with a dual-lens system, unlike the S9 Plus; and HTC launched the U12 Plus without a regular-size U12 at all. But Sony hasn’t given up. 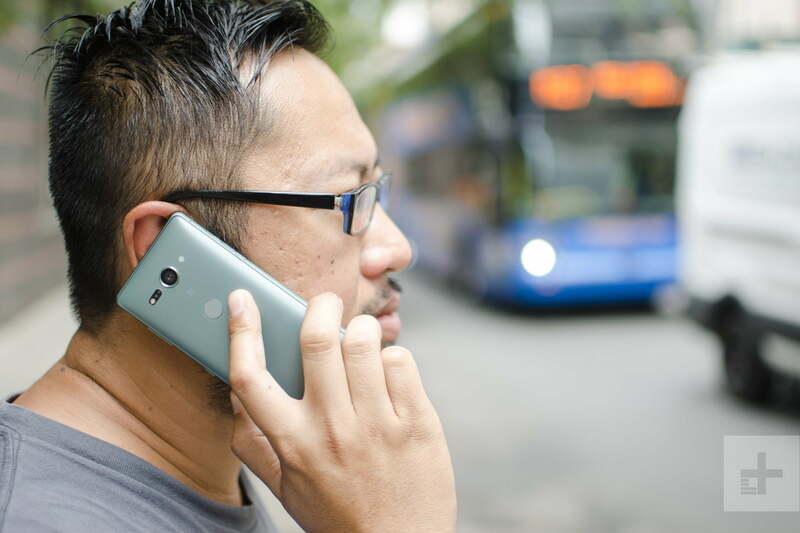 While the Xperia XZ2 Compact doesn’t have the same vibration system or sleek design language of the Xperia XZ2, its differences make it a better phone. In fact, it’s one of the best options if you’re looking for a small phone today. Here’s why. The highlight of this phone is in its name; it’s all about size. With a 5-inch screen, the XZ2 Compact will easily fit in every palm. The rear curves inwards at the sides, making it ergonomic and comfortable to hold, and there’s a nice weight to it that makes it feel like a solid, well-built phone. 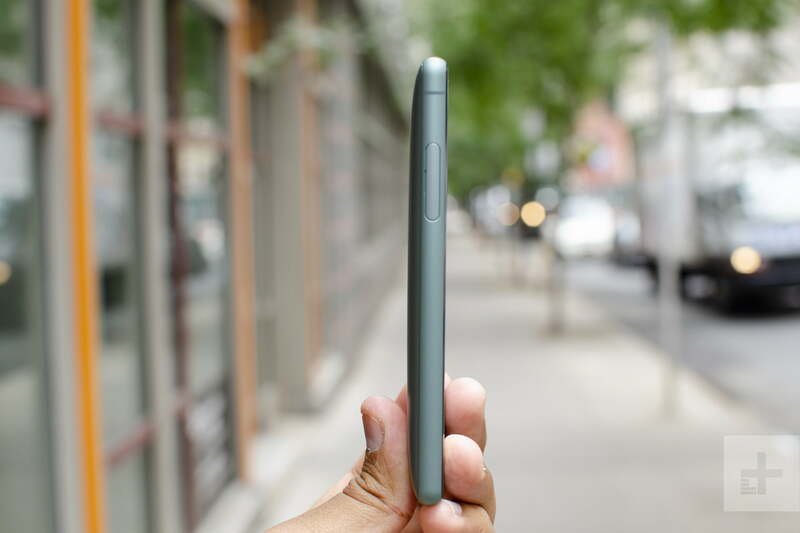 We especially love how little space the XZ2 Compact takes up in pant pockets. The design isn’t as contemporary as the Compact’s bigger brother, the XZ2. The bezels on the front aren’t as svelte as most of the competition, but we’re happy with the varied color options, especially the Moss Green shown here. The rear doesn’t utilize glass, which means there’s no wireless charging, but the phone’s also a little more durable. It’s a simple look, with just a single-lens camera at the top, a fingerprint sensor below, and the Xperia logo at the bottom. There’s even an indicator for where the NFC antenna sits for services like Google Pay. The fingerprint sensor is still a little too low, as it was on the XZ2, but it’s manageable thanks to the Compact’s smaller size, and quick to react. We especially love how little space the XZ2 Compact takes up in pant pockets. All the buttons are on the right edge, with a volume rocker up top, a power button in the middle, and a camera shutter button at the bottom. We’d have liked to see the power button a tad higher — it’s a little too centered for our grip — but adjusting the way we held the phone fixed this issue. 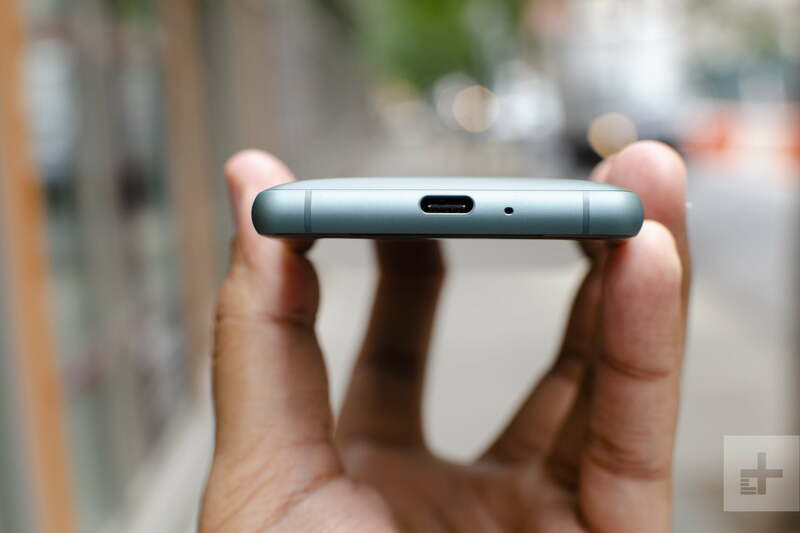 Over on the bottom edge is a USB Type-C port for charging. There are two front-facing speakers, and while the bass isn’t as punchy as we’d like, the audio gets plenty loud to hear even outdoors — handy if you want to watch a movie or YouTube video at the park. There’s no headphone jack, but Sony supports a wide-range of high-resolution audio formats, including AptX HD, ensuring your music sounds good over Bluetooth. There’s a USB Type-C to 3.5mm headphone jack converter in the box, too. The 5-inch LCD screen is protected by Gorilla Glass 5, and it packs an 18:9 aspect ratio with 2,160 x 1,080 pixel resolution. It’s sharp, colorful, and gets bright enough to view outdoors on a sunny day. Blacks aren’t as dark as those you’d find on an OLED panel, but you won’t have any qualms about screen quality here. We didn’t find ourselves using this phone to watch a lot of video content, at least compared to bigger phones, as the screen feels a little too cramped for it. The XZ2 Compact’s display does support HDR, though, so if you do spend some time on YouTube or Netflix, know that you’re getting excellent visuals. You’ll want to make sure the content you watch supports HDR — for example, Marvel’s Luke Cage season 2 looks great, though we kept the screen close to our face to make sure we could see everything. The Xperia XZ2 Compact fits like a glove in the hand. 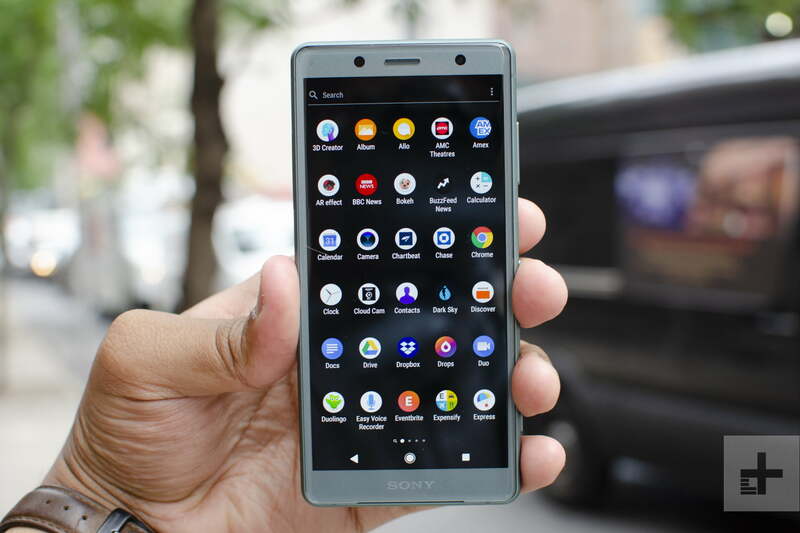 All parts of the screen are easy to access, and if you increasingly find yourself turned off from large-screen phones, then Sony’s Compact should be on the top of your list. Like the Xperia XZ2, the Compact delivers incredibly speedy performance with the Qualcomm Snapdragon 845 processor and 4GB RAM. We didn’t run into any problems at all running graphics-intensive games like PUBG: Mobile and Alto’s Odyssey; the Compact was capable of handling everything we threw at it. The Compact’s AnTuTu score is right below the Galaxy S9 and S9 Plus, landing in the top ranks as one of our best performing phones based on benchmark tests. These tests aren’t necessarily a good measure of real-world performance, but it seems to ring true here. You won’t have any performance issues with the XZ2 Compact. The phone comes with 64GB of internal storage, plus support MicroSD cards in case you need more space. The rear 19-megapixel lens captures photos with good detail and great color accuracy. The XZ2 Compact runs Android 8.0 Oreo, and you may be surprised to hear that our device is stuck on the February 1 security patch. There have been regular software updates rolling out consistently to XZ2 and XZ2 Compact units, including the July security patch and other bug fixes, but we’ve yet to see it on our phone. We spoke to a Sony customer service representative, and were told to simply wait for our unit to get the over-the-air update notification. Otherwise, the software experience is average. There’s a good deal of bloatware, such as pre-installed Amazon apps that can’t be uninstalled, and a handful of Sony apps we never found particularly useful. One neat app is 3D Creator, which lets you create 3D models of anything with the phone’s camera — you can even send this 3D scan to a 3D printer — though this feature seems tailored for a niche audience. Some parts of Sony’s Android skin look a tad dated, but it’s thankfully customizable, and it’s still simple to operate. We have seen a few apps force closing occasionally, but it never felt frustrating or disruptive to our day-to-day experience. The camera on the XZ2 Compact doesn’t stand out from the strong competition. There’s no dual-camera system here — you’ll have to look at the newer XZ2 Premium for that — but that doesn’t mean the Compact can’t handle its own. The rear 19-megapixel lens captures photos with good detail and great color accuracy. We do have some gripes, such as how the camera app isn’t too fast. It takes a full two seconds or more to launch, and the camera shutter is a tad slow to react. Open a picture in the photo gallery and zoom in, and you’ll notice it always takes a few seconds to load. The camera also takes some time to adjust the exposure in high-contrast scenarios. When there’s a bright sky and a dark foreground, the XZ2 Compact needs a few seconds to process the lighting, but sometimes HDR even feels like it’s non-existent. The true-to-life colors in the XZ2’s 4K HDR video is astounding. We’re quite satisfied with most of the photos the XZ2 Compact takes in low-light scenarios. Grain starts to creep in, but the camera still maintains good color accuracy, and detail is solid. Photos have a higher chance to look blurrier here, though, so you may need a few tries to get the right shot. The bokeh mode, which adds a strong blur behind a subject, is hit or miss. We’ve found it sometimes likes to simply refuse to add a blur, but when it does, it has trouble detecting all the edges around a subject, specifically hair. It can work well — you just need to spend some time with it and get ready to make a few attempts. Shooting video is one of the highlights on the XZ2 Compact. Sony said the Compact, along with the XZ2 and XZ2 Premium, are among the only phones that can capture 4K HDR content. This helps with bringing out more realistic colors in your videos, and manages contrast better. There is a warning that the camera will force close if the phone gets too warm, though your content will always save. So how do videos look? The true-to-life colors are astounding, and the detail the camera captures looks good — but keep in mind you need a 4K HDR display to truly appreciate what you’ve captured. We’re not fans of the phone’s video stabilization, which can make the video look quite janky. We preferred shooting HDR in 1080p, rather than 4K. The camera app also does start to stutter a little if you record a little too long. The other big video feature is super slow motion at 960 frames per second, which is captured in 1080p — a higher resolution than the super slow motion feature on the Galaxy S9. It’s a fun feature, but it really requires lots light to look good, and you need to be accurate when you press the slow-mo button to make sure you can capture the moment at the perfect time. The 5-megapixel camera takes decent selfies, but it’s nothing to write home about. The screen lights up as a flash in dark environments, which is helpful. The XZ2 Compact has a camera that takes great photos in almost all environments, though it doesn’t necessarily excel in one particular area. We’ve found the Xperia XZ2 Compact offers a full day of battery life, based on medium to heavy usage, due to its 2,870mAh battery capacity. Starting around 7:30 a.m. off the charger, with plenty of gaming, video and music streaming, and browsing social media, our device ended up with 32 percent around 5:30 p.m. This would often stretch to 15 percent by midnight or so, with minimal use at home. Typically though, we arrived home around 6 p.m. with a little under 50 percent remaining — that’s with medium to light usage, using the phone mostly to browse the web and take some photos. On weekends, when we didn’t use our phone much, we found about 54 percent remaining by 9 p.m. The Compact supports Qualcomm’s Quick Charge 3.0 technology, and it sure does charge up quickly. We plugged it in at 10:54 p.m. with 33 percent remaining, and it hit 90 percent by 11:50 p.m. Unlike the XZ2, the Compact does not support wireless charging. 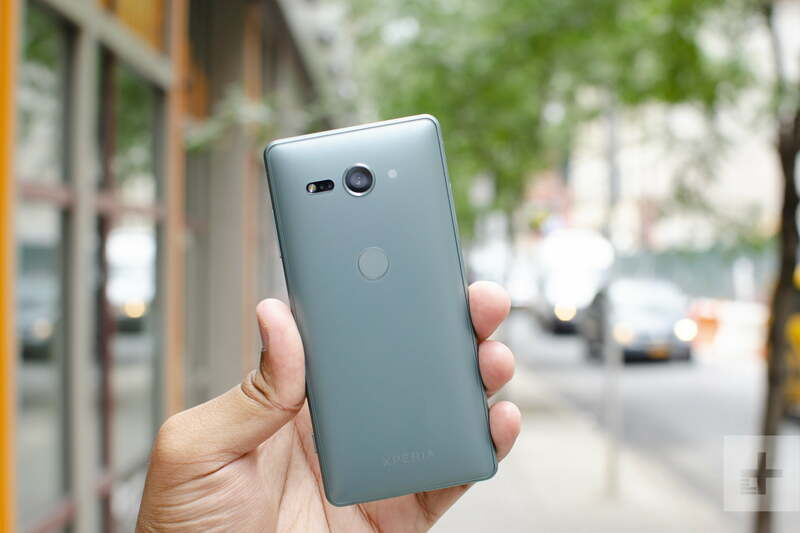 The Sony Xperia XZ2 Compact initially cost $650 at launch, but you can grab it for $600 at Best Buy, Amazon, BuyDig, and Focus. It won’t work on Sprint, Boost Mobile, and Virgin Mobile, but it will be perfectly fine on Verizon, AT&T, and T-Mobile. Sony offers a one-year limited warranty that protects the device from manufacturer defects. Yes, the Google Pixel 2 is one of the closest phones in size that you’ll find to the Xperia XZ2 Compact. Its camera is better, though the Compact excels in performance thanks to its newer processor. The Galaxy S9 is another option that has similar performance and a great camera, though it’s a tad more expensive. You can check out our guide to the best small phones for more. The Xperia XZ2 Compact will likely last you a little more than three years. It will continue to receive software updates for the next two years, and its life will probably continue for a little while after. It’s protected by a Gorilla Glass 5 screen on the front, but you might still want to grab a case. Thankfully, it’s IP65/68 water-resistant, so it can handle a drop in the pool. Yes. If you’re in the market for a small smartphone, this is one of your best choices right now.